Knoxville Bishop Rick Stika has taken to twitter to defend the Covington students. Go here to read what he has written. Bishop Stika did the right thing because he waited until enough evidence came in to make a decision (unlike Foys who pounced in a CYA-driven panic). If Foys had only said “This looks serious. We’re investigating” and waited even 24 hours before answering the press further, he’d look far less foolish and have nothing to apologize for. 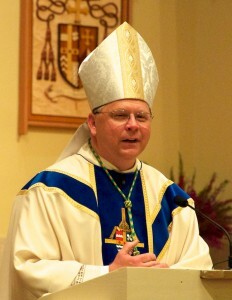 Yes, bravo Bishop Stika and shame on the other knee jerk Democrat operative Bishops who pounce on the first opportunity to slur President Trump without the slightest hesitancy to find out what the facts are. One good thing in all of this is that MAGA hats will be more popular. Wear yours proudly! !